I've just come back (in yesterday's evening) from Barcelona and the wonderful PHP Barcelona 2010 conference. 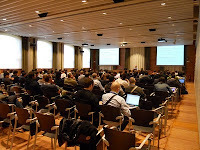 I was the only guy talking about testing and design for testability there - as Enrico noted during the return trip, the Spanish community is different from the Italian one in interests and offerings. 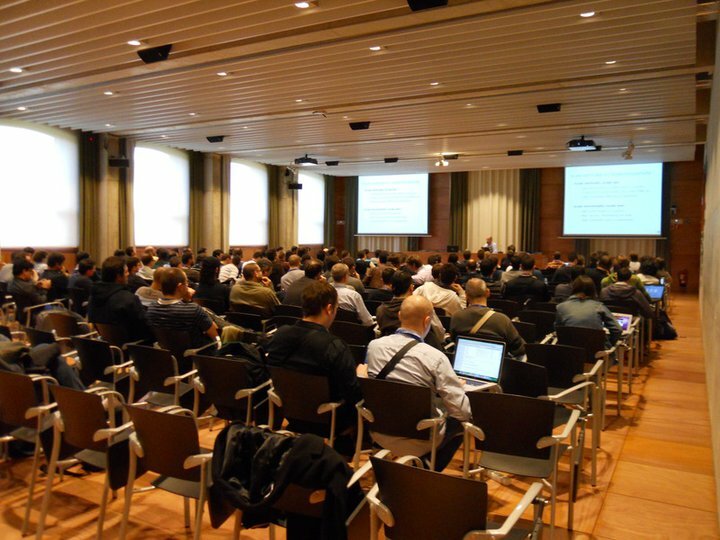 At phpDay 2010 in Italy, half of the schedule was centered on Agile practices, while technical topics were the real heart of this conference. Thus, many thanks to the organizers, which worked really hard to provide a smooth experience to us, and to the 400 attendees that followed as many talks as possible. It has been nice having a so passionated audience, with people even sitting on the floor when all the seats were already filled. My slides for the talk Architecture and testability are available for downloading or online consultation. View more presentations from piccoloprincipe. Anyway, just because I travelled this week it does not mean I stopped writing. Here are my articles published from the last roundup. I'm preparing for the PHP Barcelona Conference 2010, which will take place on October 29th and 30th. If you are reading this blog and are attending the conference, it will be nice to meet you there. My talk is titled Architecture and testability and was originally given in Italian at phpDay 2010. It will take place on October 29th, at 16:30 in the assertTrue room. Here are my articles for this week on Web Builder Zone. 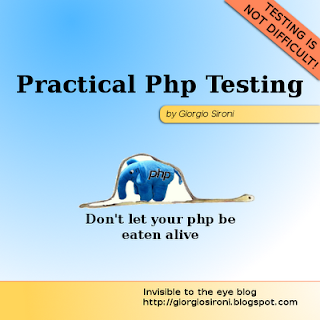 We have ended the series on PHP patterns and started a new one, dedicated to the pattern we use every day in testing. Test code has the same, if not greater, dignity of the production code it exercises. I have completed my first standard week in a Master's program at Politecnico di Milano. Well it's not really a week, since it is composed of four days, but I work full time on Friday. The topics of the Data Engineering specialization are quite interesting, comprehending courses such as image processing (how a program acts on multimedia files to modify them), multimedia information retrieval (how to query a large collection of images, videos or songs), computer vision (how a computer can recognize objects in an image), and so on. There's also some classic stuff like advanced databases and web development. You don't have to worry about my time shortage however: here's are my four original articles published this week, as happened every other Saturday. Paint on a canvas like Van Gogh, a primer on HTML 5 <canvas> element. Practical PHP Patterns: Service Stub, a classic integration testing solution to keep in your toolbox. You don't have to always stare at a screen, which describes how to substitute LCD with ebook readers for most of your tasks, even reading blog articles. My experiences in working remotely lately have been great. I connected with a more than 300-kilometer distant enterprise and work with Skype and Teamviewer as if we were in the same room. After the initial hassle of setting up the microphone and the applications, I could converse and reason productively with my colleagues (we were for one month physically in the same office) for hours, without any voice latency (for talking overseas, this may be different: talking with people in the US has been more difficult for me). Here are my articles for the last two weeks on Web Builder Zone. PHPUnit 3.5: easier asserting and mocking, which describes the new features of this release (including my MockBuilder). Practical PHP Patterns: Value Object, a timely article while the community is discussing on Value Objects in PHP and how they should be implemented. What we don't need in object-oriented programming, a controversial article that spawned a long discussion with many insults between OOP purists and "we have to get things done" guys. The PHP paradigms poll results: OOP wins - did someone have any doubts? What you need to know about your version control system, one of the most popular posts on DZone this week.